I'm an aspiring SL home decor& fashion blogger. 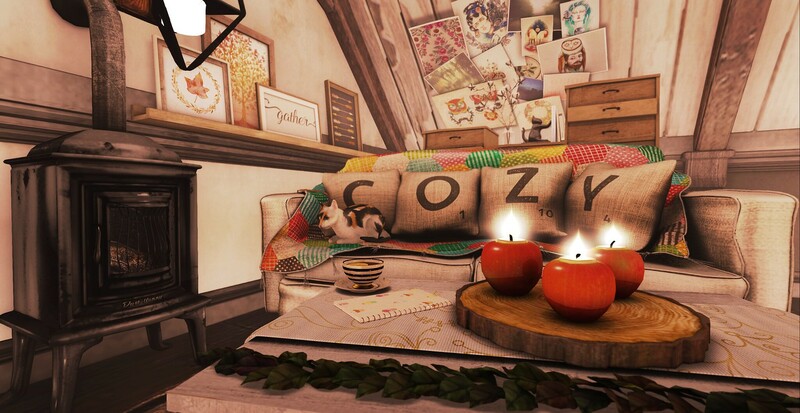 I'm obsessed with all things cozy, so you'll see a lot of it here. Enter your email address to subscribe to this blog and receive emails about new posts. ‘Tis the holiday season! And no, not early at all. Just the time to start stocking up on hot beverages, wood for fireplaces and comfy cozy pillows and blankets. Luckily, such wondrous shops as What Next, Trompe Loeil, Dust Bunny provide! Rains wash away memories, but mementos stay. I can’t stop being in love with this glorious 8F8 shed. It can be so many things, from a sunlit shining romantic spot to this forgotten place of solitude. 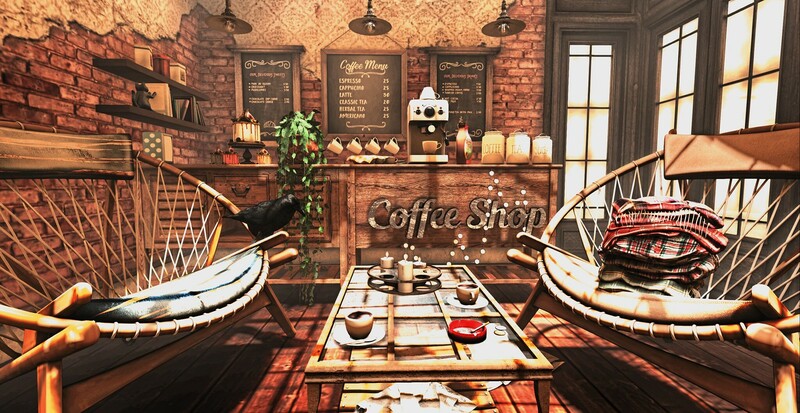 I wanted to create a sunlit but eerie coffee shop, so here it is. Who knows what other visitors there were and how long ago before the crow found its home here. Autumn bids goodbye with early snowfalls and frosty temperature here. I am quite excited because it means that holiday time and cheer is near! 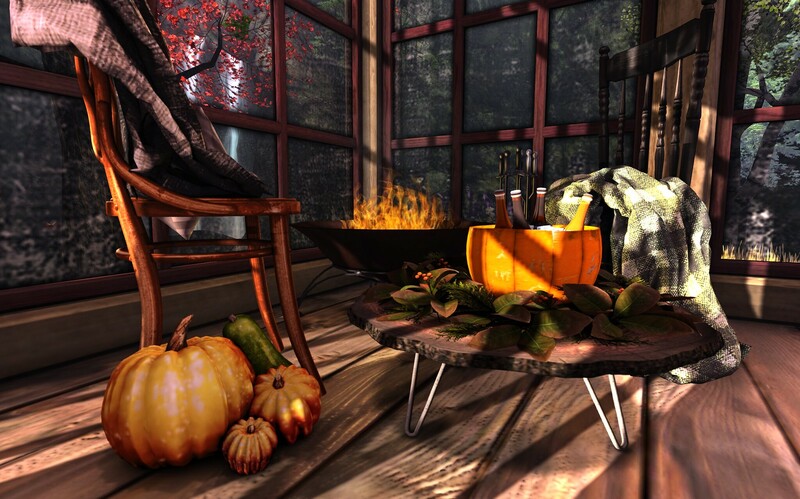 Still, one last autumn interior setting to celebrate my favourite season. I love playing with various hairstyles and finding something new for my daily image. For instant, I can’t part with these eye tattoes and shaved hairstyles. Besides, it fits in perfectly with the image of my favourite video game – Mass Effect. 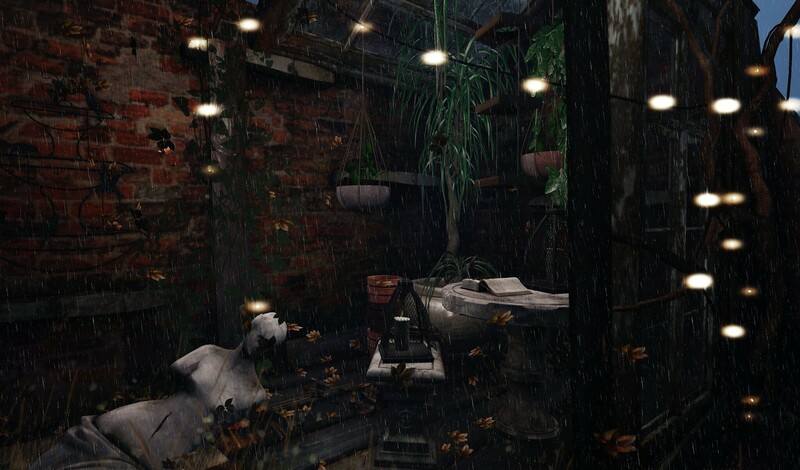 Is there anything sweeter than having a place to hide in during cold autumn winds and rains? 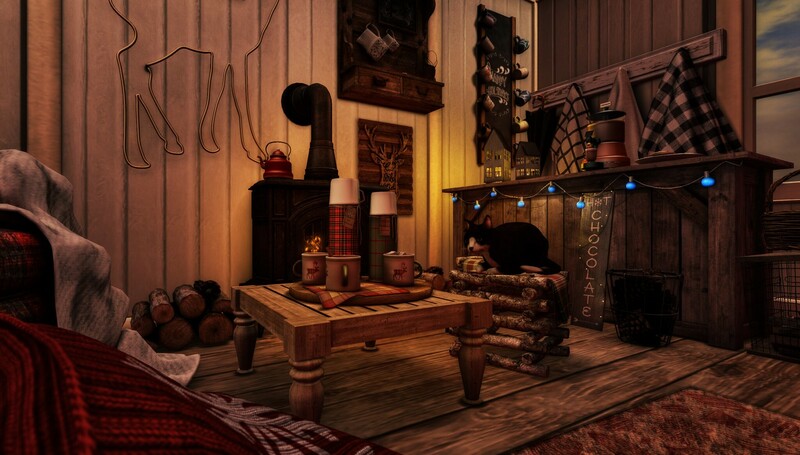 I wish I could have such an attic in real life, but second one will do!